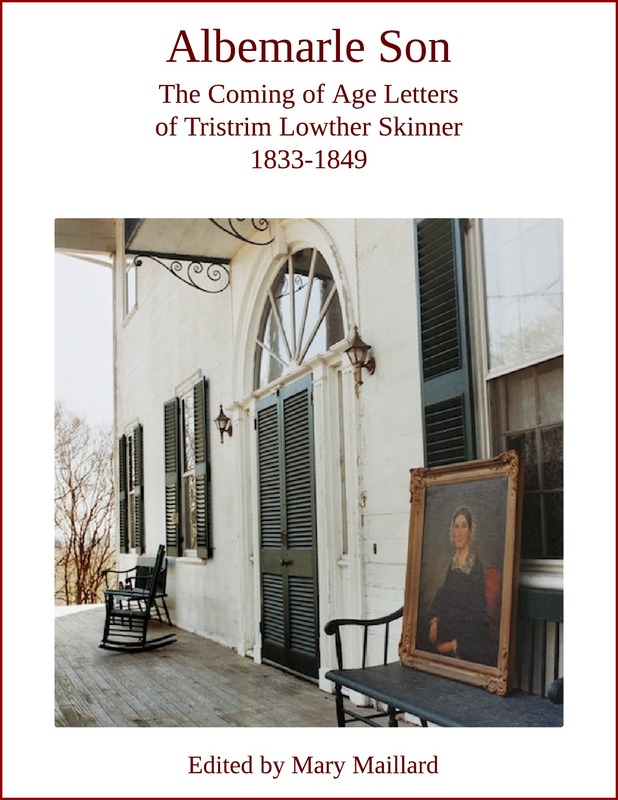 The Skinner Family Papers is part of the Southern Historical Collection at UNC Chapel Hill. It’s an amazingly rich resource and has been accessed by numerous historians over the past three decades. The documentary editing project – with Mary Maillard as guest editor – was originally conceived as two large volumes (antebellum and Civil War) to be published by North Carolina Office of Archives & History. That project was suspended in 2010 due to budget restraints. Maillard’s options for continuing with the project were daunting. University presses were no longer interested in publishing comprehensive documentary editions because they were not moneymakers. Maillard could pitch a single-volume selection of the letters but she could not imagine cutting the project while still preserving it as a meaningful primary source. 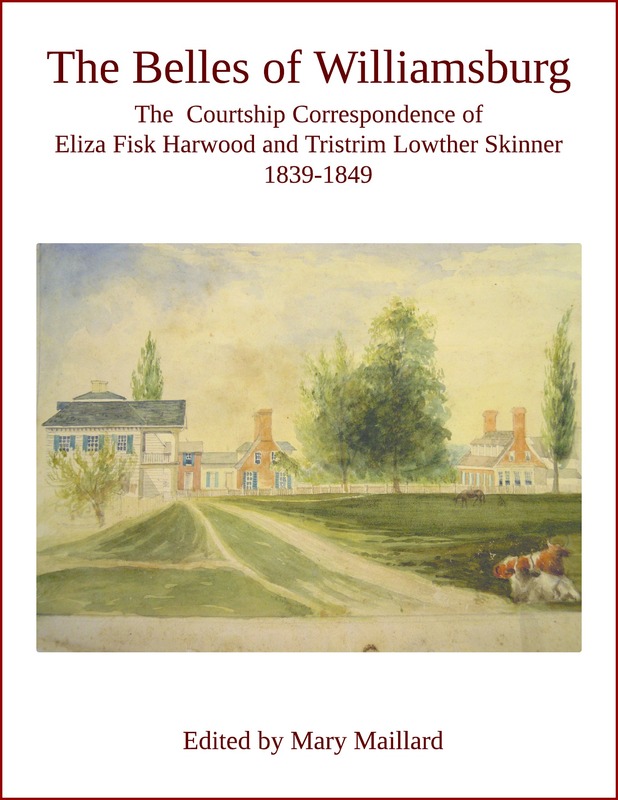 The value of the Skinner Family Papers lies in its detail and continuity, and in its portrayal of the importance of southern kinship and extended family. Maillard’s third option would be to try to attach the project to an institution or an online initiative. Working as an independent scholar without institutional affiliation or access to funds, the obstacles seemed insurmountable. Before seriously considering the antebellum Skinner Family Papers as a digital ebook project Maillard looked again at its inherent structure. Buried and intertwined in these documents were three main life-stories, framed by three main family relationships. The three family relationships were essentially conversations. If she extracted these conversations, she would then have three discrete, manageable, book-sized units. But how to preserve the larger chronology, the social context, and the interconnectedness of this family? The solution was a series of linked ebooks – supported by a website – and introduced by a monograph, also an ebook. This is the first documentary edition that has been developed in ebook-format-only. Maillard decided to use existing popular and affordable technology in a way that serves the purposes of documentary editing. In all of her decisions she chose platforms and formats that were easily recognized and widely used. The Kindle, iBooks, and Kobo platforms display somewhat differently on various devices, so – as an editor, she couldn’t completely control the layout and design of the book – but the content and functionality would be the same. For the website she purposely chose an older theme of WordPress – Theme 2010 – a familiar screen to almost all internet tourists and one that they would intuitively know how to navigate. WordPress is a trustworthy, community-supported, easy-to use web application and, for content management, it has proved the test of time and looks like it is around to stay. As WordPress evolves over time, so will the Skinner Family Papers, and if a newer, smarter, better technology comes along, then the Skinner Family Papers will migrate over like everything else. The website not only frames, promotes, and explains the documentary editing project – it is also an essential part of it. There are about a dozen primary source documents, mostly slave lists, published there that do not appear anywhere else. The Blog is not really used as a traditional blog but more as an exhibition space to show sample documents from the collection and sample chapters from the monograph. The Blog is used to maximize the tagging function built into WordPress. As we would expect, linked text on the blog entries takes us to outside sources – often biographical entries or other digital editions. But the sample letters and chapters also feature links to internal illustrated annotations. These are web pages that were specifically created to explain some of the more obscure references in the text and to help to bring the letters and letter-writers more vividly to life. There are over 90 pages behind the Skinner Family Papers website, and dozens of them are illustrated annotations. How to create an ebook? Maillard began with Scrivener, a word processing program designed for authors that provides an organizing/management system for documents, images, video, audio, and metadata. The best feature of Scrivener is that it converts text to ebook formats like mobi and epub as well as to markup language like HTML. But there were problems with images and captions and eventually Maillard abandoned Scrivener and turned to ebookarchitects, a division of Firebrand Technologies, for help in transforming the manuscripts into epub and mobi files. Ebookarchitects has developed an excellent quality assurance and validation application, and it also ensures that the files will be accepted by all retailers. It should be emphasized that this process is not a straight conversion to ebooks. It is the development and building of ebooks – creating function, navigation, and sensible design to enhance the content. In that sense, this project was born digital. Each of these ebooks is essentially a mini-website. Unlike some print editions that have been converted to ebooks, a well-designed ebook should take advantage of digital functionality and be integrated into the world wide web. A good scholarly ebook is not a self-contained stand-alone, but opens out into an entire world. There are, for instance, over four hundred Notes and a hundred and twenty-five live urls in The Belles of Williamsburg ebook. 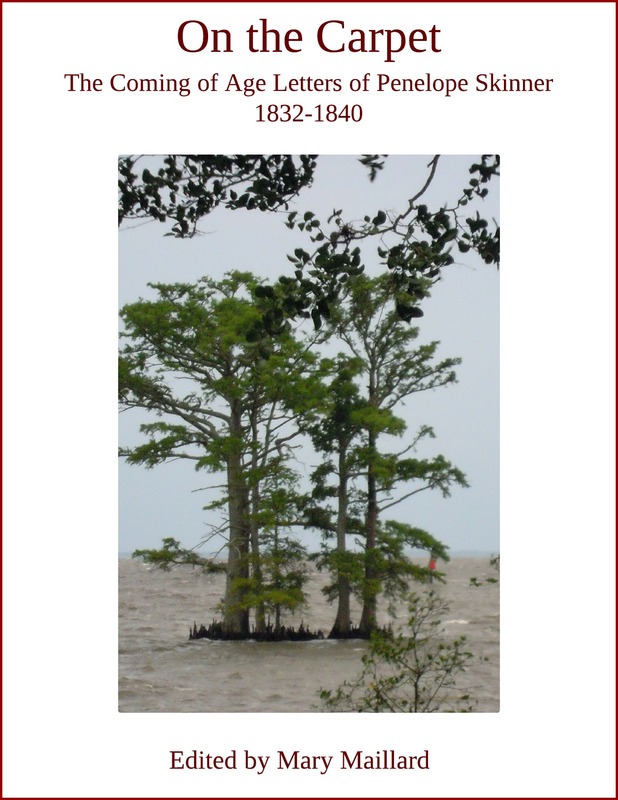 All together, there are approximately fifteen hundred annotations in the 4-book antebellum project and at least five hundred links to outside websites. 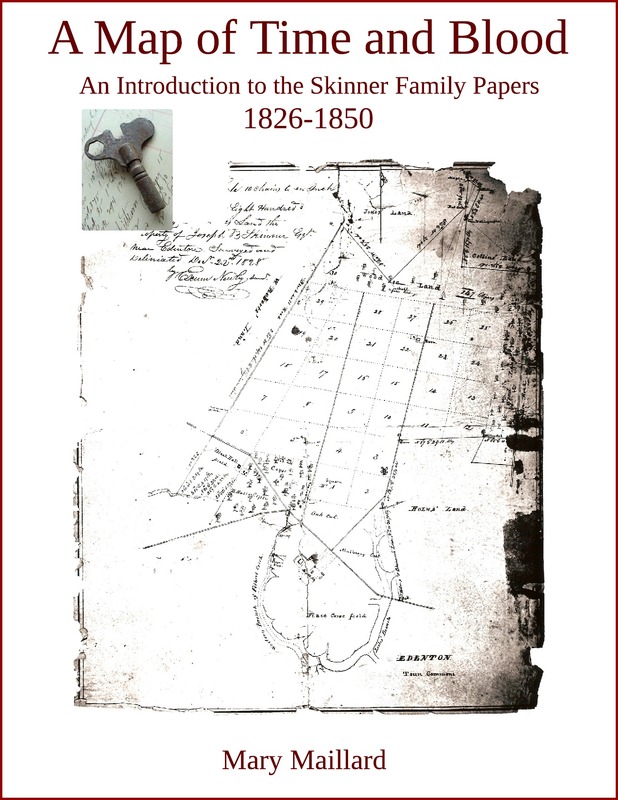 There are also a couple of links to the Skinner Family Papers website. One of Maillard’s favourite features of the ebook documentary editions is that we can read the letters continuously, without having to click in and out of separate documents. This is a good thing because there are a number of subtle – almost fragile – narratives that could easily be erased if we didn’t allow the letters to flow uninterrupted. Maillard’s goal was to create a digital resource that, as a researcher, she would love to use herself – trustworthy, authoritative, accessible, easy, inexpensive, and fast.